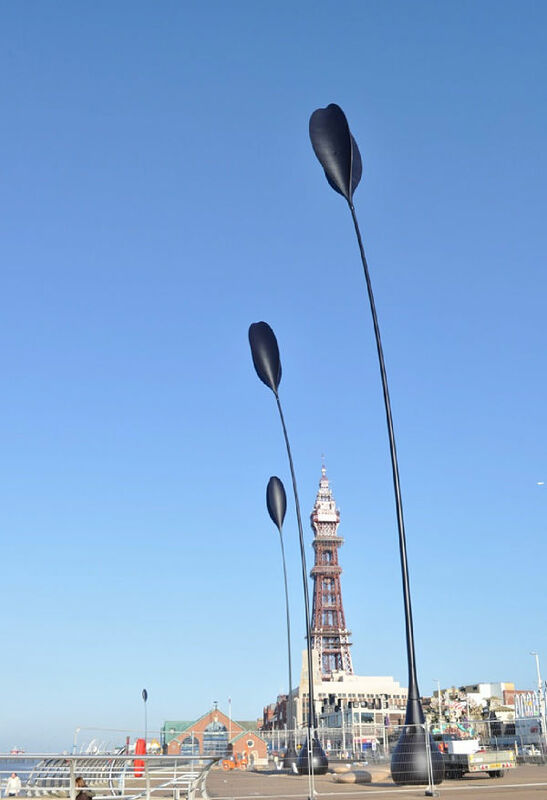 Installed on Blackpool sea front, 4 Dune grass sway gently in the wind. Working in the wind tunnel at City University, the shape of the head was developed to move perpendicular to the wind direction. The cruciform head behaves more like a kite at high wind speeds simply hanging in the wind and preventing any damage to the mast. 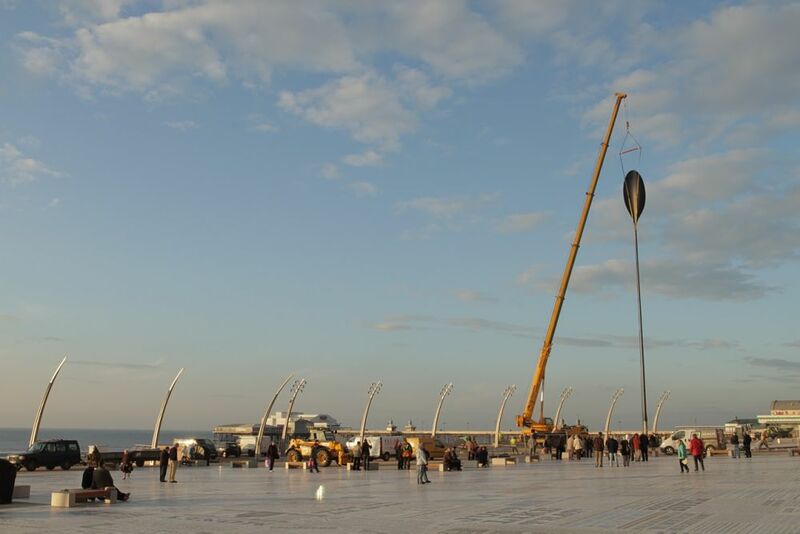 The head and mast are manufactured in the Isle of Wight using glass fibre and are 35m in height.